The Square is dominated by the Basilica, the Doge’s Palace and the belfry of the basilica which is located next to it. The buildings around the square are the Doge's Palace, the Basilica of San Marco, the Clock Tower of San Marco, the “Procuratie Vecchie”, the Napoleonic Wing, the “Procuratie Nuove”, the Belfry of San Marco, Loggetta del Sansovino and the Marciana Library. Much of the ground floor of the Attorney General's offices is occupied by cafes and restaurants, among them the famous Caffè Florian and the Gran Caffè Quadri. The Correr Museum and the Archaeological Museum are located in the square at the opposite site of the basilica. The Mint (Palazzo della Zecca) lies behind the Marciana Library on the banks of the Grand Canal. These last constructions were completed during the Napoleonic occupation, although the Belfry was rebuilt years later. - Children 6-14 years old. For information and reservation click here. 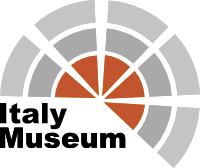 Which are the St. Mark's Square Museums? Doge's Palace is located at the eastern end of San Marco Square, one of the symbols of the glory and power of Venice. This wonderful Gothic style building has two facades, one facing the lagoon of Venice and the other towards San Marco square. The Ducal Palace was the residence of the doge and was the headquarters of the government and the court of justice in addition to the prison of the Republic of Venice. Correr Museum is one of the most important and representative museums of the city of Venice. 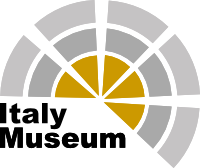 This museum is located in square and is part of the Civic Museum Foundation of Venice. This museum is an example of the art, civilization and history of the city. Here we find various works of art, documents, maps and objects that reflect the life of Venice throughout its history. National Archaeological Museum of Venice is located next to the Correr Museum and the Marciana Library. It has sixteen rooms where bronzes and Greek and Roman sculptures are exhibited, many of these works belonged to influential Venetian families who were dedicated to the antique market. Marciana Library is one of the largest Italian libraries and the most important in Venice. Inside we find the most precious collections of Greek, Latin and Oriental manuscripts in the world. This library is also known as the Marciana National Library, San Marco Library, Sansovini Library, Antigua Library. It is located at the bottom of San Marco Square between the Belfry of San Marco and the Zecca of Venice. Did you know that during October and November, the tide in Venice rises a lot and the water overflows on the banks of the canals flooding the city? The water that floods the city is a problem for the locals of Venice but it is an unusual experience for tourists. Seeing San Marco Square flooded is undoubtedly a unique and magical moment that you will remember as an unforgettable experience. Why visit the St. Mark's Square Museums? Venice is a curious and unique city in the world, it is one of the cities that must be visited at least once in life. Venice is full of labyrinthine canals, old merchant houses, gondolas and many people, but it has a singular charm. Venice has been built on an archipelago of islands that are linked together by more than 400 bridges. The city of Venice is composed of 119 islands that emerge from a wide lagoon between the mainland and the open sea. Until its founding it was inhabited by a few Ilirian and Venetian inhabitants who lived on the water of the lagoon on palafittes and were maintained thanks to the fishing and the extraction of salt. The St. Mark's Square Museums contain in their interior parts of the history of this wonderful city. In addition, Venice is synonymous of romance, so it is considered one of the most romantic places on the planet. Simply a city worth visiting! Another of the attractions of San Marco square is the beautiful Clock Tower or "Torre dell'Orologio" is located next to the Basilica of San Marco. Its function is not only to mark the hours but also the lunar phases and the zodiac signs. Legend has it that once the construction was completed, the duke ordered the eyes of the craftsmen who built it to be removed so that they could never perform a similar work. Another of the attractions that is located a few steps from San Marco square is the Bridge of Sighs, one of the most famous bridges in Venice. Legend has it that if you go by gondola under the Bridge of Sighs and kiss your partner, you will be assured of eternal love. Doge's Palace: Open April 1st to October 31st from 8.30 am to 7.00 pm and November 1st to March 31st from 8.30 am to 5.30 pm. Closed December 25th and January 1st. Correr Museum and Archaeological Museum: Open April 1st to October 31st from 10.00 am to 7.00 pm and November 1st to March 31st from 10.00 am to 5.00 pm. Closed December 25th and January 1st. Biblioteca Marciana: Open Monday to Friday from 8.00 am to 7.00 pm and Saturday from 8.00 am to 1.30 pm. Closed Sunday, January 1st and 6th, April 25th, May 1st, June 2nd, August 15th, November 1st and 21st, December 8th, 25th and 26th. Correr Museum and Archaeological Museum: Piazza San Marco, 52 - Venice. Biblioteca Marciana: Piazza San Marco, 7 - Venice.